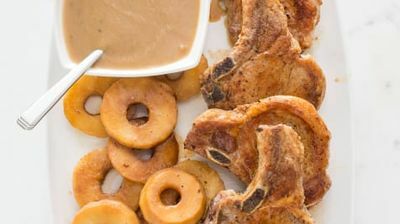 Test cook Bridget Lancaster demonstrates how to make the best French-Style Pork Chops with Apples and Calvados. Next, tasting expert Jack Bishop conducts a tasting of Brie. Finally, test cook Julia Collin Davison reveals the secrets to making the ultimate Mushroom Bisque.